Scotty and his friends make the critical error of choosing to stay late after school one day to work in the shop classroom instead of going home during an early out. The entire school had been let out early due to a snowstorm, but this is no regular snowstorm. 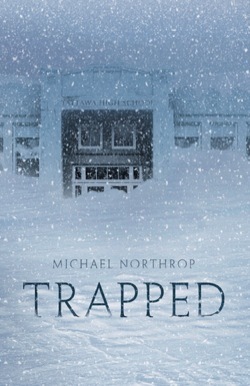 This storm continues to snow for several days and Scotty and six other students are left stranded in the high school. Their situation continues to get worse as the snow keeps falling and they begin to wonder how much they can withstand. Worst of all, they have no way of communicating to anyone that they need help. Will they ever live to see the end of this storm? This survival story is a bit reminiscent of Life As We Knew It, but in this instance the natural disaster is a blizzard instead of a meteor. Scotty and his friends begin to realize how dominated they are by modern conveniences such as cell phones, Internet, electricity, etc. and are not sure how to cope when it is all gone. Plus, they also worry about their friends and family who are also trapped in this storm somewhere. Usual teenage feelings of inadequacy, competition, and hierarchy are still present, but these do begin to break down as they must come together to survive. The story is written in a believable way that will make young readers think about how they would deal with such a situation. Adventure fans will enjoy it, even if it moves a tad slow at times. 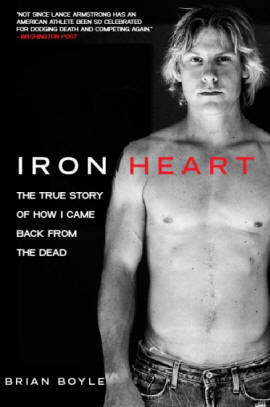 This remarkable true story follows Brian Boyle’s recovery from a horrendous car accident he was in when he was eighteen. He was preparing to go to college on a swim scholarship and instead spent two months fighting for his life. He had multiple surgeries and countless hardships ahead of him, but he made the choice that he wanted to fight for his life. His parents were there to support him every step of the way as he slowly worked toward the same goals he had made prior to the accident. This story is told in Brian’s words so the writing is not very technical or complex, but his words are very powerful. Most teens will be able to relate to his feelings of helplessness as his dreams and aspirations after high school slip away. They will also be able to identify with his perseverance and will to fight when no one thought he could. The story is uplifting and heartwarming and will interest most teen readers, but especially readers who like reading about athletes. Reading this story will give teenagers a lot to think about regarding their own futures and the choices they plan to make, but also the present and how they want to live for today. Digger lives as a thief and a spy, but when her partner is killed by the King’s police she must go into hiding so that she does not meet the same fate. She becomes Celyn, a lady-in-waiting, to a family that is going to a remote castle for the winter. Digger believes this will be the perfect getaway from the city, but when she gets there finds that one of the guests, Lord Daul, knows her true identity and threatens to reveal it unless she becomes a spy for him. As Celyn begins snooping around the castle looking for clues she finds much more than she expected and must decide whom she should trust. 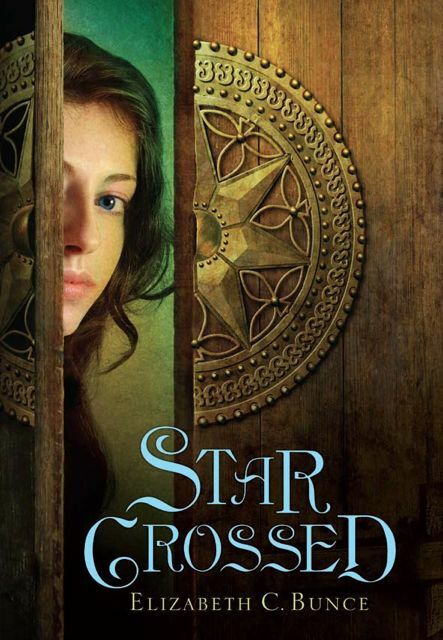 Starcrossed begins a bit slow and will frustrate some fantasy readers because fantasy elements are not as prominent as they are in some other books. However, the plot in this story carries many twists and turns that will keep readers wanting to know more about the people who have come together in this castle for the winter. Celyn, Lady Merista, and many other characters continue to grow and develop until it seems like the reader actually knows them. Fans of Graceling will want to check this one out. Abby has always looked out for her sister, Maya, but one day when Abby is running and finds the murdered body of Maya’s boyfriend things get a little complicated. Abby is especially disturbed to find Maya’s cell phone near the body. She immediately begins thinking of ways that she can either find the real killer or cover it up so that her sister does not get into trouble. 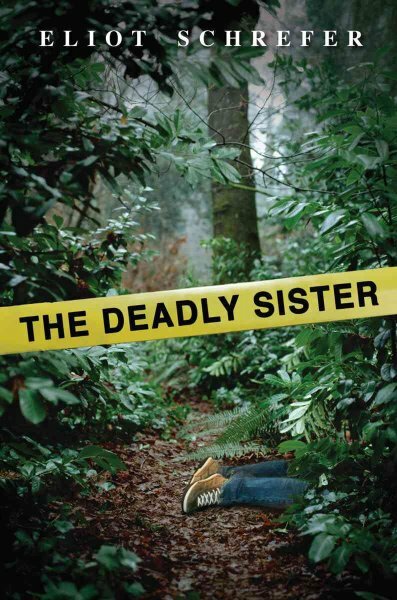 The more she investigates into her wild sister’s life of running away, drug use, and relationships with shady characters, the more Abby realizes that everyone will believe Maya committed this crime. Does she believe Maya committed this crime? Can she find a way to keep her sister out of jail? This mystery will keep a lot of readers guessing all the way until the true killer is revealed. Abby’s actions often go above and beyond to try and find ways to help Maya, and some readers might question what she is truly willing to do in order to protect her sister. The family dynamic of the two girls and their parents is complicated and difficult, which makes this tragedy harder for them to deal with and comprehend. There are some hard truths in this mystery and none of the characters are angels by any means, which makes it difficult for the reader to decide who they are rooting for. The story is intriguing and will keep mystery lovers reading to the very final reveal. Cassia lives in a perfect society where everyone has the same clothes, houses, food, and education. Everyone is watched by the officials to make sure they are behaving correctly and following all the rules. 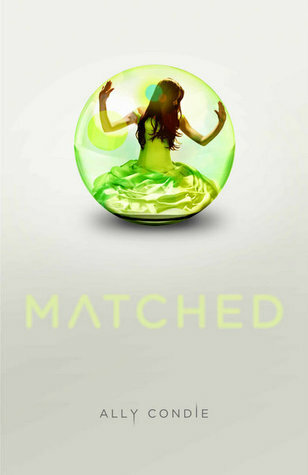 When Cassia goes to her match ceremony to find out who the officials have chosen to be her perfect match she is shocked when it turns out to be her best friend. She is even more surprised later when another boy’s face appears on her match’s ID card. Can the society make mistakes? Do they have a choice in ANY aspect of their lives? This book resembles societies in books like The Giver, but delves a little deeper into a world where literally everything is chosen for you and nothing is really yours. Everyone must follow orders about every aspect of their lives down to how they spend their free time. Disease, pollution, and drug dependency are all a thing of the past, but is it okay to live people’s lives for them? Condie creates a great series here with characters that readers will want to know more about. It also encourages readers to think about the choices they make everyday and the way they choose to live their lives. This book is bound to find a following and could be great for classroom reads as well.